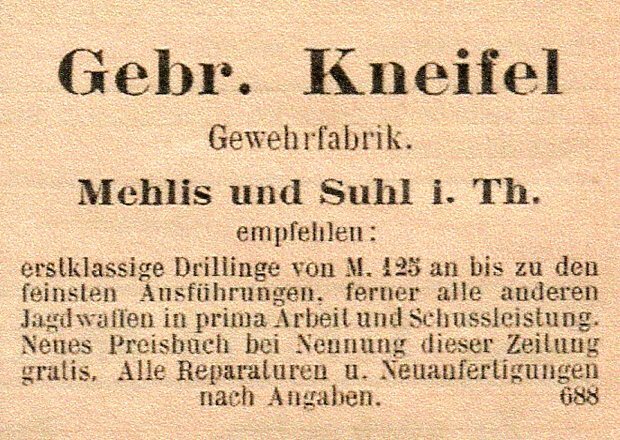 The firm Gebruder Kneifel gave locations of both Mehlis and Suhl. 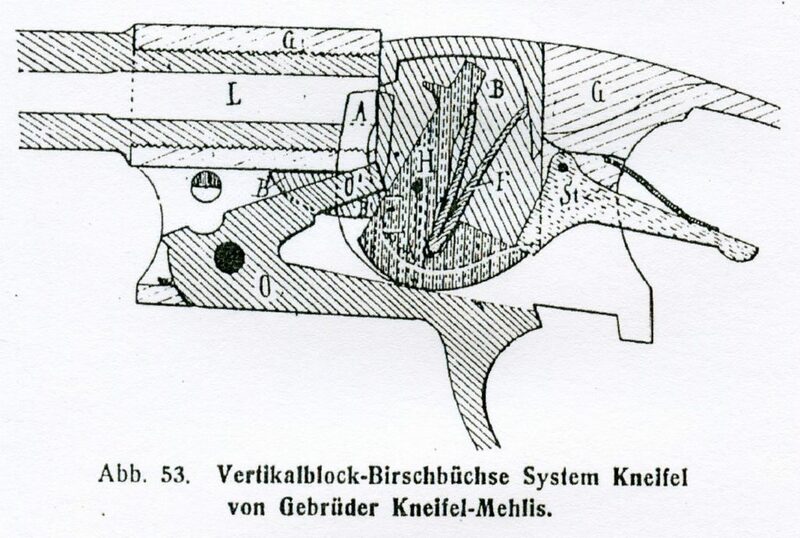 The earliest referance found to date is from the 1904 Deutsches Kolonial- Handbuch. We do not know who the brothers were. 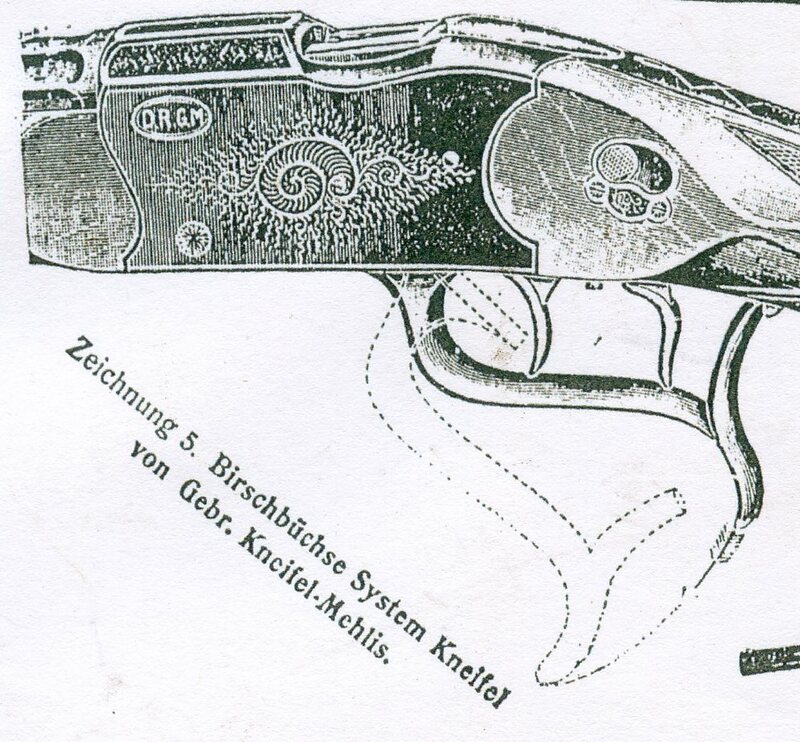 They produced multi barrel rifles and shotguns and single shot rifles on a proprietary falling block action known as the System Kneifel. The rifles were both on Target and Stalking form. 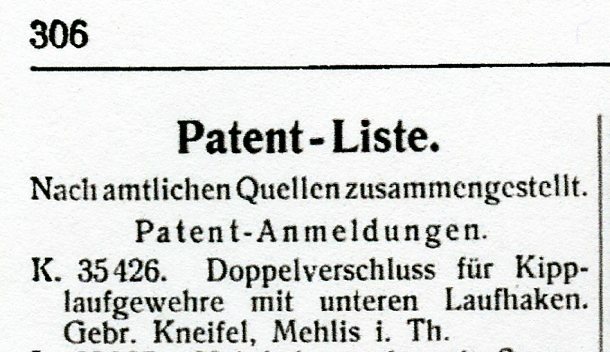 In 1912 their Mehlis address was Rotherbachstrasse 16. 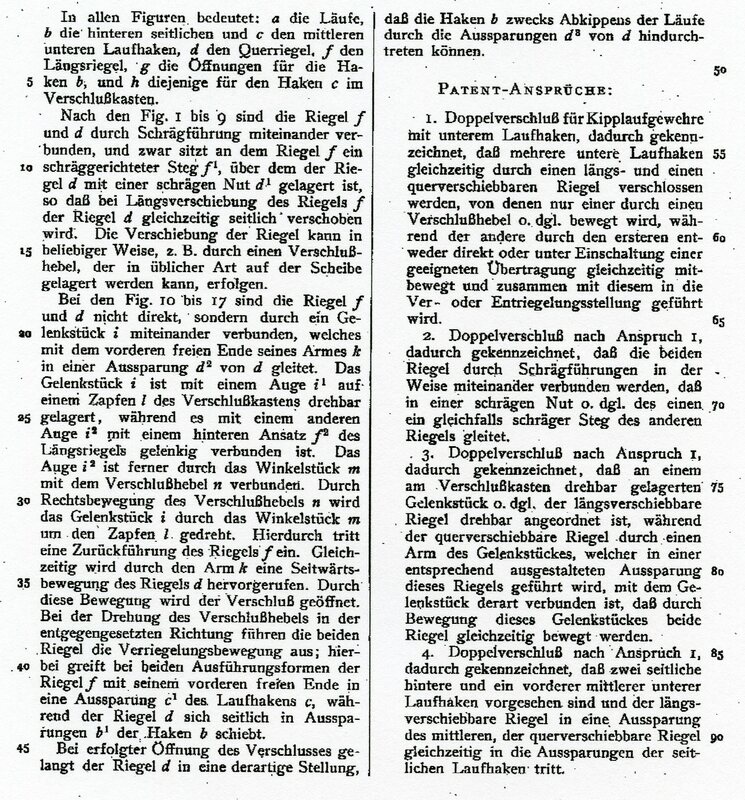 Following are three advertisements for them from various publications. 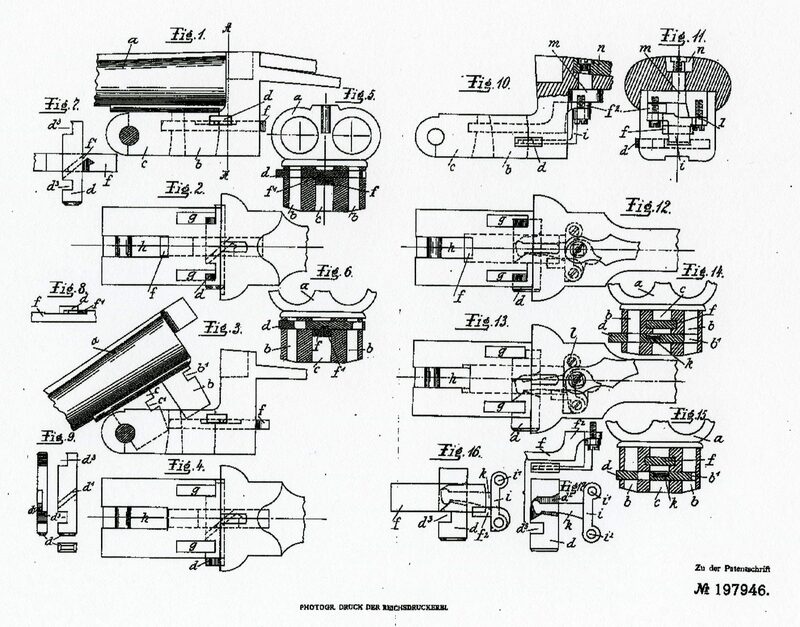 The following illustrations were found in the book Moderne Scheibenwaffen. 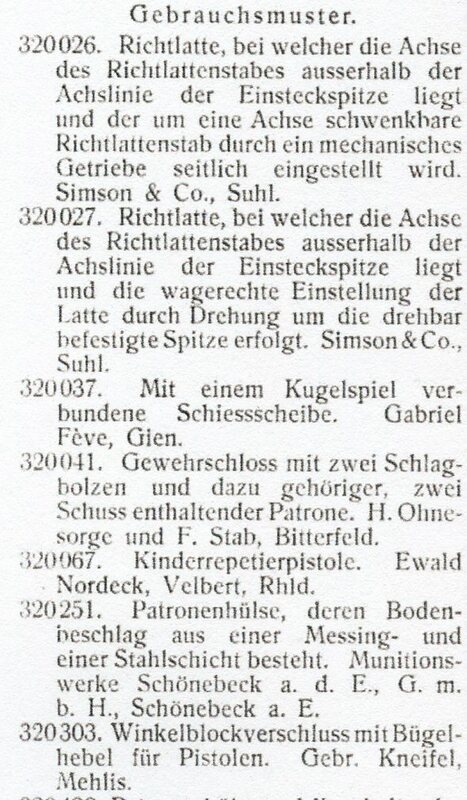 Kneifel Brothers had at least one DRGM no. 320303 which covered a lock up for a pistol action. 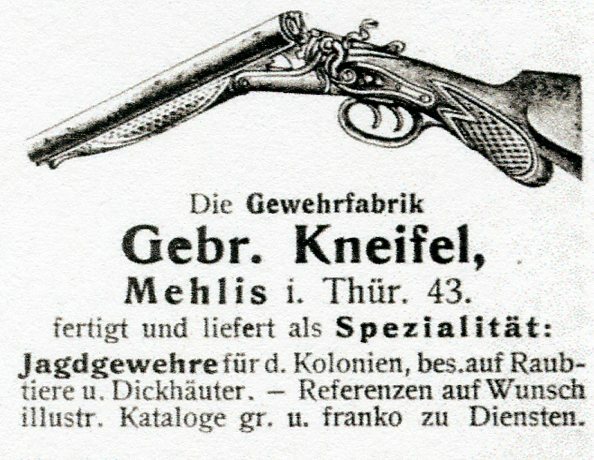 In 1907 the magazine Schuss und Waffe announced that Gebr. 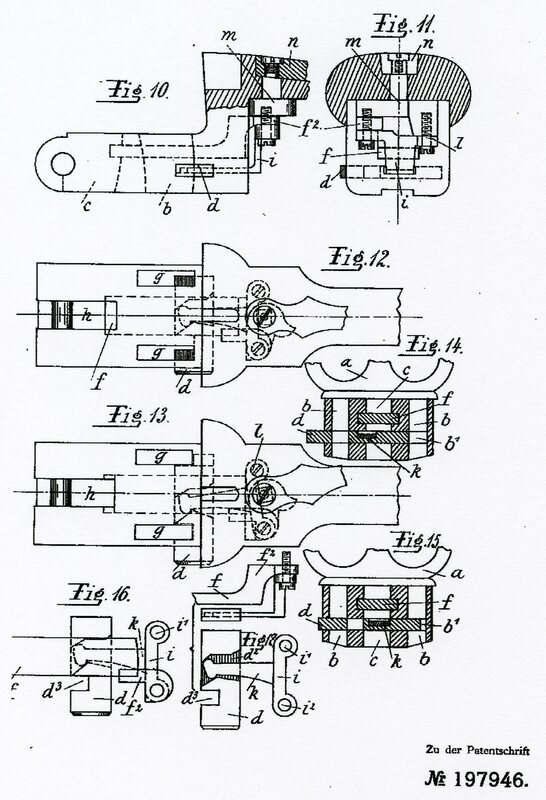 kneifel had applied for a patent for a double barrel lock up which I assume became DRP no. 197946. 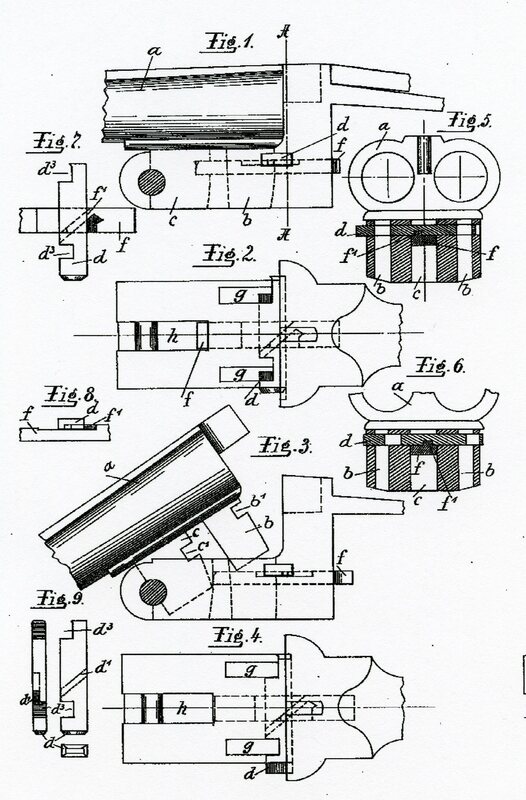 On May 7, 1908 Gebr. 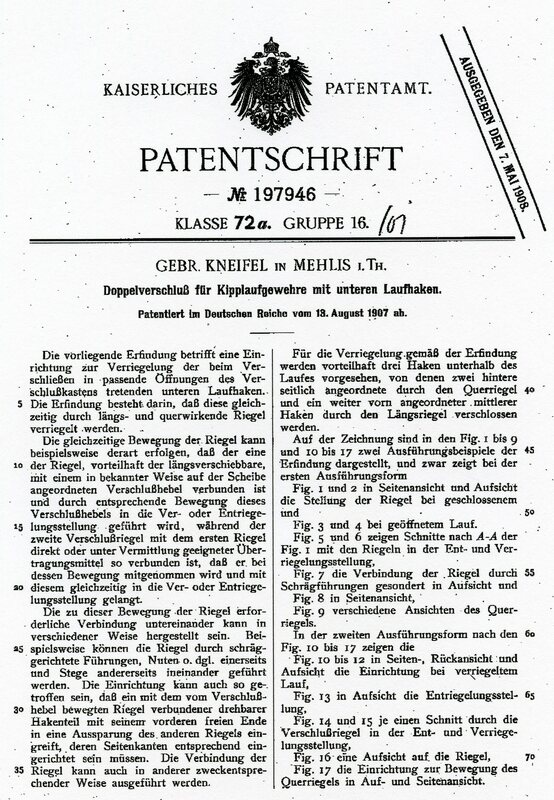 Kneifel was issued DRP no. 197946 for a double barrel lock up with three underlugs. Rock Island Auction Company recently sold a Drilling marked Waffenhaus Kneifel- Eisenrich. I thank them for allowing the use of their pictures here. The drilling was 16 ga. and 303 British. It is unknown what relationship if any there was between the Kneifel Brothers in Mehlis and the Waffenhaus Kneifel in Eisenrich.